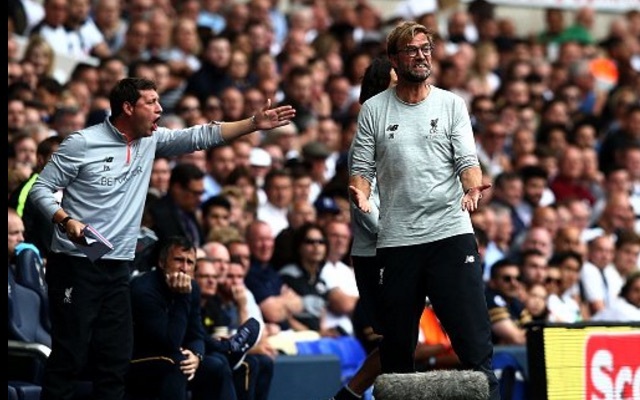 Liverpool were held to a 1-1 draw at White Hart Lane today, with Danny Rose’s second-half goal cancelling out James Milner’s opener from the penalty spot. We were superb in the first-half, dominating possession and chance count, with Coutinho missing a particularly guilt-edged opportunity from about eight yards out with the goal at his mercy. Sadio Mane was stretching the Spurs defence superbly and Jordan Henderson was playing excellently at the base of midfield – impressive considering his slightly off colour recent outings. We continued where we left at the start of the second, but the turning point came when Mane’s lovely goal was ruled out because the man who assisted him, Adam Lallana, was ruled offside when he was probably level. That being said, our Senegalese winger was lucky to be on the pitch after a series of risky challenges when already booked. Spurs went on to punish us when Danny Rose got on the end of Erik Lamela’s deep cross and scuffed past Simon Mignolet, who had already made an excellent save. Now, we’re four points from three games, having beaten Arsenal, lost to Burnley and drawn with Tottenham. I still feel a little bit disappointed, [even though] we took a point against Tottenham. When we played like this then I think we could have won the game, but it is like it is. We have to accept all the things that happened around [the game]. We made one mistake in and around their goal and they also had a header from Alderweireld and a wonderful save from Simon. There were not plenty more chances for a home game for a football-playing team, a good side like Tottenham. This says a lot about our defending. But on the other hand, we had chances – and of course we even had one in the 92nd minute but in the end, unfortunately, it was not a chance. This game showed again what we can do, how we can play. It was not only about pressing and things like this, although we did it really well. We were really flexible in offensive defending and then played football. We had wonderful moments with passing and all that stuff, the direction in our game. Yes, I wish we would have won it but now we have to accept the point and that’s no problem because it’s Tottenham. They scored a goal and they could have won the game too. If they had scored the header, it was the same game but with two goals for Tottenham, so we have to accept it. We showed again we can be really good and that’s what we have to show in each game. Then everything will be good. In the end, today feels worse than last time I was here. Simon had a really good game last time against Tottenham when we came here – he saved our lives, if you want. Today, he made one good save, a brilliant save. We were more in the game. What can I say? It was a wonderful goal, brilliant play. What can I say? It’s not too cool, but it happened. You have to create chances, you need to have these moments and situations [and] they know they should score. Tottenham is not a game you win four or five [nil], they are a really good defending team and they’ve played together [a long time] so it is difficult to create one chance. We had a few, that’s a good sign, but at the end that’s all that we take for our future to analyse when we meet again in 10 days. In the end we have to accept [it] and we have to say the result is 1-1. Whatever I could say now would not change the result. We have to accept it, that’s what we do. Burnley one week ago did not feel really good. It was absolutely the wrong sign in the wrong moment – we were on a good way. Even there we played real football and missed the last pass, so we didn’t create the number of clear chances we did today. That’s our mistake. But, of course, we are all human beings and in the analysis afterwards when we saw it again we could not believe how big the opportunities would have been with one more pass, and that was hard to take. It is an early moment in the season and we have not had the easiest start, so for this it’s OK. Sitting here with four points after three games is not what I wanted but this is our base and we will build on this base. You need more players for different positions. The only decision we made was that Millie can play [there] and in the style of play that we should play. A full-back is not only a winger in the offensive situation – it’s something like [a number] eight in different moments. It’s a really good position for Millie. He still has to adapt a little bit and learn because he has 500 games, but not in this position. So we have to work on it, that’s how we work with every player, but in the end we were convinced he can play the position, that’s why we didn’t make a transfer in that position on other players. I’m not surprised that he can play there.